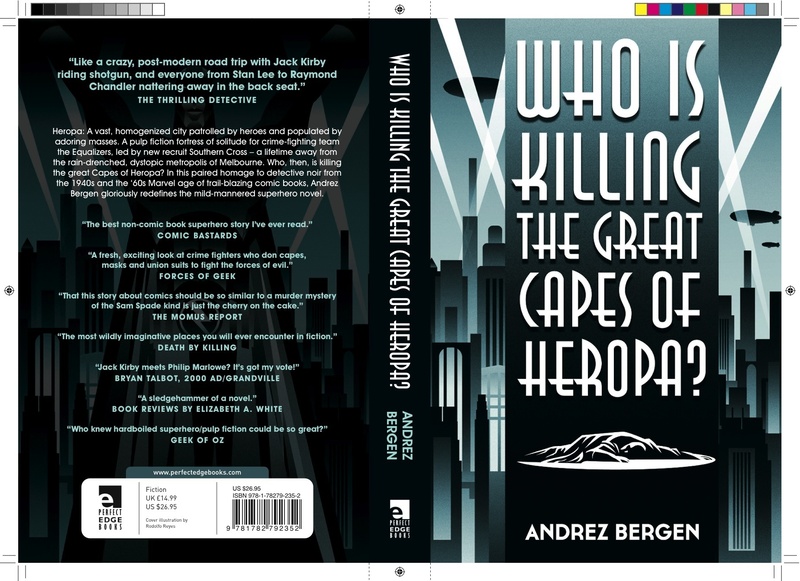 Sounds like people are just starting to get the hard-copies of Who is Killing the Great Capes of Heropa?, and not only media contacts — a couple of mates have received ones they ordered through Amazon UK and Amazon USA, where the novel has just switched from pre-order. A couple of days ago I noticed that the book’s gone “live” on both Amazon sites, meaning it’s now officially published, can be reviewed, and is available to buy… one month early. Which is bloody cool! Mind you, this is the paperback we’re talking. The eBook versions, while finished and distributed, probably won’t be available until the late September official publication date (the 27th). These’ll be much cheaper than the physical tome — which some people have commented is rather pricey. But we’re looking at a 473-page book, with 35 illustrations (taking up a decent amount of ink and design-work), so it does push the wallet a bit but for fairly good reason, methinks. We received a quartet more reviews, one a sizzler (from Caleb Hill @ Acerbic Writing), a wunderbar offering from John Rickards @ The Nameless Horror, another bloody lovely one from Christopher Black @ Available in Any Colour — and the fourth not quite so great from Harry Markov for SF Signal. He still gave it 3 stars out of 5, but was looking more for world-building than dialogue, which is fair enough. Harry’s a mate of mine and we talked about this briefly before he wrote the review, when he admitted that he had no experience of silver age American comic books or 1960s Marvel Comics in particular. And he hasn’t read either Tobacco-Stained Mountain Goat (available as a free download or $4.74 paperback direct from the publishers) or One Hundred Years of Vicissitude… so isn’t aware of the side-line world-building I’ve been nutting out through all three novels to date. 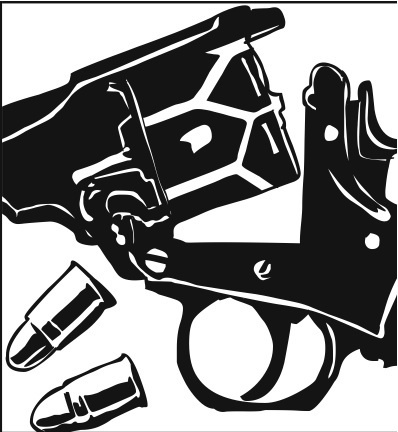 Don’t get me wrong — each novel is supposed to be a stand-alone beastie, and I feel you certainly don’t need to be up on comic books (or noir) to get and/or enjoy Heropa. But if anyone cares to wade through all three books, then they’ll be summarily rewarded (I like to think) with multiple perspectives of the same scene, a better understanding of this near-future, last-city-dystopia Melbourne has become, the society at large, idInteract gaming, the technology (Hylax products, Mitt-Mates), etc, etc. Anyway, that was my idea of world-building. Maybe I should stick to whacked-out dialogue. Or wild-pony riding. Shakespeare had that down pat. O Rodeo, Rodeo! Wherefore art thou Rodeo? Heropa also brings together such disparate elements as 1940s and ’60s American comic books, pulp influences, and hardboiled noir (hence Drezz Rodriguez‘s illustration at left) trying desperately to skulk somewhere beneath the coattails of Raymond Chandler and Dashiell Hammett. There are Japanese elements to the book, too. Key character Midori, a.k.a. Prima Ballerina, is of Japanese descent. 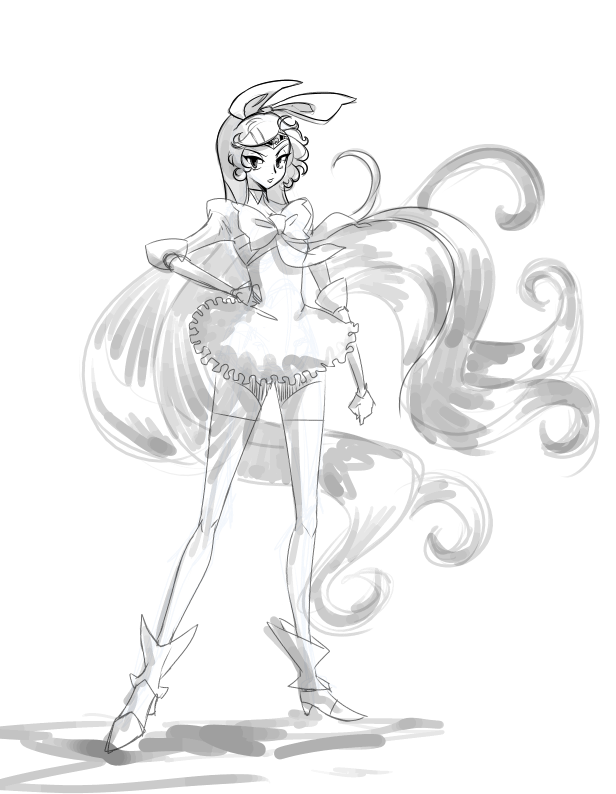 Lead character Pretty Amazonia (pictured above, conjured up by artist Juan Saavedra), is a hybrid of super-powered girls’ anime characters from things like Sailor Moon and PreCure. She spends free time kicking round a manga volume of Candy Candy. And she gets around in a ship named the Magnetic Rose (check out Katsuhiro Otomo‘s 1995 anime Memories). There’s also a cameo by another character that plays on the Fuchikoma 1-man tanks used by members of Section 9 in Ghost in the Shell. So, Japanese refs, world-building and hawking aside, I’m pretty buzzed about this one and hope you get the time at least to check it out.